focused on discovering your body’s needs. The Gym provides real results that just aren’t found at most other gyms, and we want each of our clients to receive the necessary ingredients for a successful fitness experience and lifestyle. Only when we know where your fitness level is at, can we determine the appropriate steps for a healthier, safer, and more effective gym experience. The Functional Movement Screen that The Gym Las Vegas offers differs from that of Lifetime Fitness in that The Gym’s process is clearly laid out and is proven to work. The Gym’s team of dedicated personal trainers are equipped to provide you with real results. Most gyms offer a ton of equipment and a promise that their gym is the place to go, based on very little knowledge of injury prevention and how to correctly place you on the path toward an increased level of fitness. The Gym Las Vegas offers a proven assessment and skilled team of personal trainers to help you reach your fitness goals without feeling lost or unable. The Gym Las Vegas’ team genuinely gets pumped up to see your progress! A gym may look fancy, and all put together, but The Gym Las Vegas isn’t just a gym. 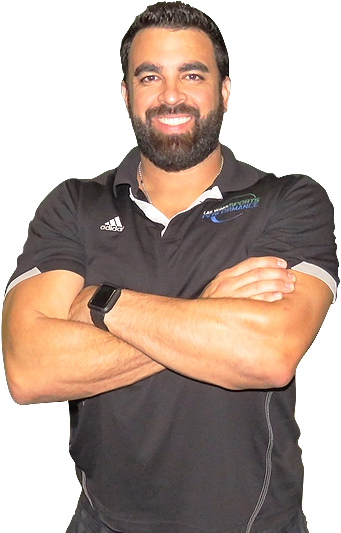 The Gym is a unique experience and practical approach toward a higher level of fitness through dedicated personal trainers who are all about understanding you and your body. The Gym is a structured and proven journey, which makes it the best gym in Las Vegas. The Gym Las Vegas wants you to look and feel stronger and healthier, not overwhelmed by workouts that feel endless and pointless. The Gym has set its bar high for what it means to achieve a higher level of fitness, proven by our clients that have found real results. Get to The Gym Las Vegas and begin to see the changes and improvements in your body, too! The Gym Las Vegas provides results and effectiveness through its team of dedicated personal trainers, services, and programs. The Gym supports all student-athletes and adults ready to make changes and see a difference. The Gym is excited and ready to get you on the path to a higher level of fitness!